Like many other farmers across the region, Alice Akabera, the president of Gwiza cooperative, which works with over 290 cereal farmers in Rwamagana District, faced challenges related to post-harvest storage. Often, the farmers would count losses when their cereals went bad for lack of proper storage. The farmers also had limited access to markets and lacked financing. "As farmers we work so hard, but these challenges have always affected our efforts to thrive in the agriculture sector. One of the biggest problems has been lack of finance," she said. The cooperative's challenges are not unique to it; across the country, players within the agriculture sector have continuously decried lack of funding as financial institutions are reluctant to take on the risks associated with the sector. 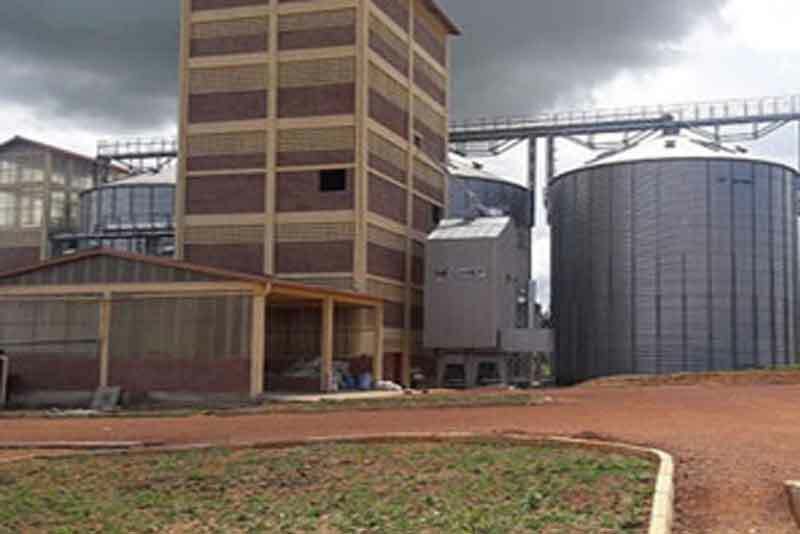 However, farmers can now access short-term funding from banks under an initiative by East Africa Exchange (EAX), a regional commodity exchange based in Kigali. This is possible through the warehouse receipt system operated by EAX. Under the system, farmers cooperatives working with EAX can get funding from partner financial institutions, including Urwego Opportunity Bank, Ecobank, KCB, Equity bank, BRD, and BPR, among others. “For the past nine months, our cooperative has secured Rwf21 million from KCB and we have almost paid off the loan. This is because EAX accepted to be our collateral," Akabera says. The farmers use electronic receipts issued by the commodity exchange as collateral, according to Clement Kayitakire, the EAX trading officer, an initiative that has so far seen thousands of farmers access funding through the scheme. Some US$4.7 million (about Rwf4.1 billion) has since been given out to farmers since 2014. "We currently work with more than 20,000 farmers across the country grouped in 187 cooperatives," he said, adding that farmers are charged 2.5 per cent of the total value of the commodity for warehouse service. The trading facilitation fee is 1.25 per cent of the value of the commodity traded on the exchange. At the moment, of all the total loans disbursed by local banks, the smallest percentage goes to the agriculture sector. How warehouse receipt system works For instance, in terms of loan distribution by sector, the largest share of outstanding credit in the previous financial year went to commerce, restaurants and hotels, followed by public works and construction, while agriculture was financed at 1.1 per cent of the entire loan portfolio. Stakeholders say this is too little for a sector that employs over 72 per cent of the Rwandan population, and a top contributor to the country's GDP. The official said they are currently working to make sure they contribute to reversing this situation. Kayitakire was speaking during a tour by local business journalists of EAX's Mayange warehouse in Bugesera District last week. The exchange has a number of certified warehouses across the country. Farmers cooperatives or individual farmers working with EAX deposit cereals, such as beans, maize or soya, and the exchange issues the electronic warehouse receipt, which farmers can then use as collateral to get loans, Kayitakire explained. The exchange settles bank loans after selling the produce at a competitive price. For instance, the current price of maize at the open market is Rwf160 a kilogramme but the exchange buys their produce at Rwf210. According to EAX, there are about eight commercial banks that the exchange works with now, but the aim is to bring more financial institutions on board to be able to expand the reach of the services.Trading other commodities. A farmer can borrow up to 70 per cent of their produce value. The scheme has enabled hundreds of farmers to acquire finance to improve their agricultural enterprises, which was a different case previously. Venantie Nyiramana of Ongera Umusaruro, which works with farmers in Gicumbi District, says that, through the scheme, they secured a loan of Rwf14 last year. "Previously, farmers would encounter losses during post-harvest and it would make it hard to access funding from banks. But this is changing through the commodity exchange," she noted. She also highlighted that farmers hardly had access to markets and market price information. The exchange currently trades in maize, soya and beans on its NASDAX trading platform. Company officials said they want to tap into cash crops like coffee and tea. The firm revealed that there is already an ongoing feasibility study on the possibility of trading paddy rice, wheat, sorghum as well as tea and coffee.